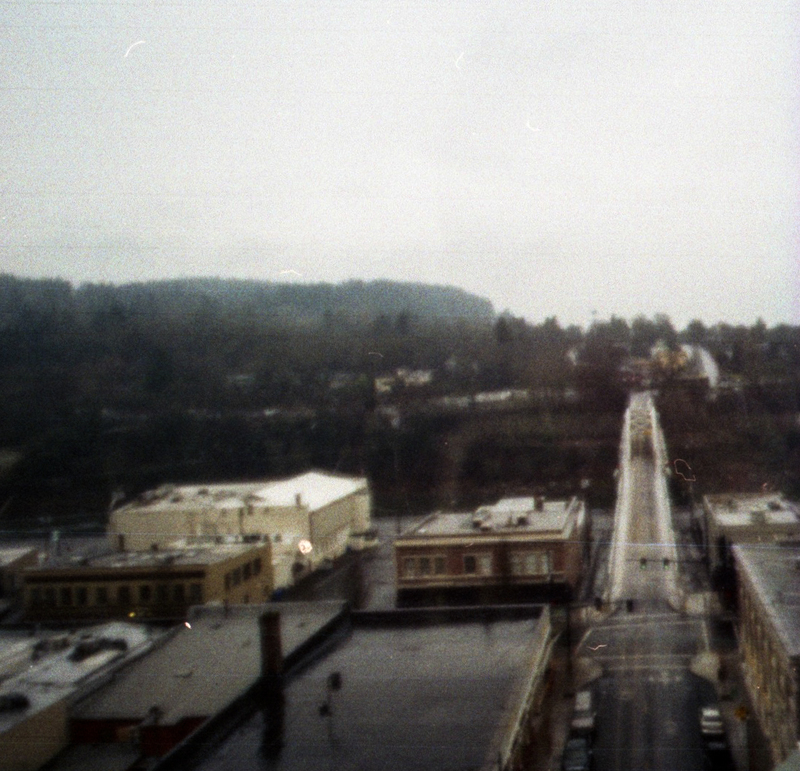 Oregon City is an interesting little place to visit. Established in 1845, it was the first established city west of the Rocky Mountains (according to Wikipedia). There is lots of history and it is, generally, a fun place to wander around. Apparently, this town is haunted, but I have yet to see any ghosts. One of the quirky things about this place is that there are two levels to it. A basalt cliff divides it. This posed a problem to the townsfolk and they fixed that problem by building an elevator. There is an observation deck at the top of the elevator which gives it that funky UFO style. It is free to ride and there is an actual human being that operates it at all hours. These photos were taken with my Ondu 135. I funded their Kickstarter and got a camera. It was a fun little camera to use and am looking forward to taking it out on it’s next adventure. 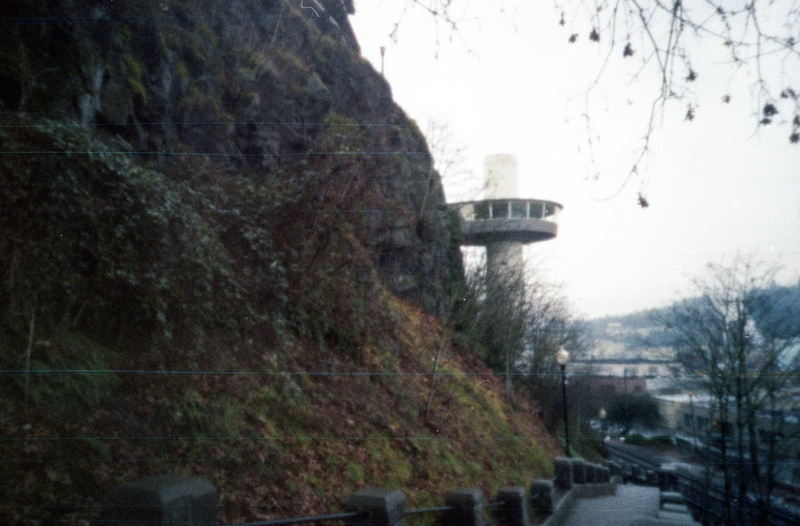 I wrote a post on Pinhole Obscura about an odd elevator in Oregon City. Posting this yesterday inspired me to return to Oregon City today to shoot more things.